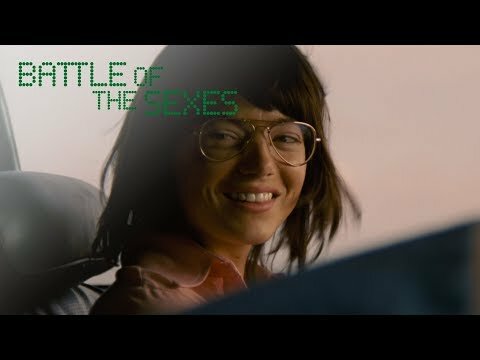 List Rules Vote for the Battle of the Sexes movie quotes you love best! Battle of the Sexes movie quotes help tell the true story portrayed in the film about the 1973 tennis match between Billie Jean King and Bobby Riggs. The sports comedy-drama was directed by Jonathan Dayton and Valerie Faris using a screenplay Simon Beaufoy wrote based on true events. Battle of the Sexes opened theatrically in the United States on September 22, 2017, and went on to earn Golden Globe Award nominations. In Battle of the Sexes, Billie Jean King (Emma Stone) is the top women's tennis player in the world. Billie Jean also works tirelessly as an advocate for women's rights, including confronting Jack Kramer (Bill Pullman) about the fact that his tennis tournament pays the men's winner eight times what it pays the women's winner. Billie Jean is also frequently publicly taunted by one-time-top male tennis player Bobby Riggs (Steve Carell) who repeatedly challenges her to a one-on-one match. Though Bobby is a generation older than Billie Jean, Bobby's chauvinist views proclaim that a man can beat a woman at any age. Finally, Billie Jean agrees to play Bobby though the two have different ideas of why. Bobby wants attention while Billie Jean wants to beat Bobby to help the women's rights movement. Battle of the Sexes was just one of several 2017 films which earned awards-season acclaim along with Roman J. Israel, Esq., Phantom Thread, Darkest Hour, and Molly's Game. Bobby Riggs: Eureka, Billie Jean! It’s Bobby Riggs. I had a great idea. Male chauvinist pig versus hairy legged feminist. You’re still a feminist, right? Billie Jean King: I’m a tennis player who happens to be a woman. Bobby Riggs: Don’t hang up! Billie Jean King: And by the way, I shave my legs. Billie Jean King receives a late night call from Bobby Riggs in which he explains how they should play against one another. Billie Jean listens to the pitch, but isn't especially keen on how Bobby portrays her. TV Reporter: Billie Jean King, already a champion of women's rights, is now the most-successful female player of all time. As the television reporter explains in this Battle of the Sexes movie quote, Billie Jean King is atop the world of women's tennis. This puts her in a unique position to use her platform to further advocate for women's rights. Billie Jean King: I’m going to be the best. That way I can really change things. Billie Jean King has long been an advocate for women's rights and has used that as motivation for reaching the top of women's tennis. She knows she has a platform to make change and intends to use it. Bobby Riggs: Ladies and gentlemen, I’m going to put the show back into chauvinist. Billie Jean King: Bobby’s a clown. This whole thing's an act for him. As Billie Jean King listens to Bobby Riggs spout off about women to the press once again in these Battle of the Sexes movie quotes, she's clearly not impressed. She takes her profession seriously while Bobby acts like a clown.